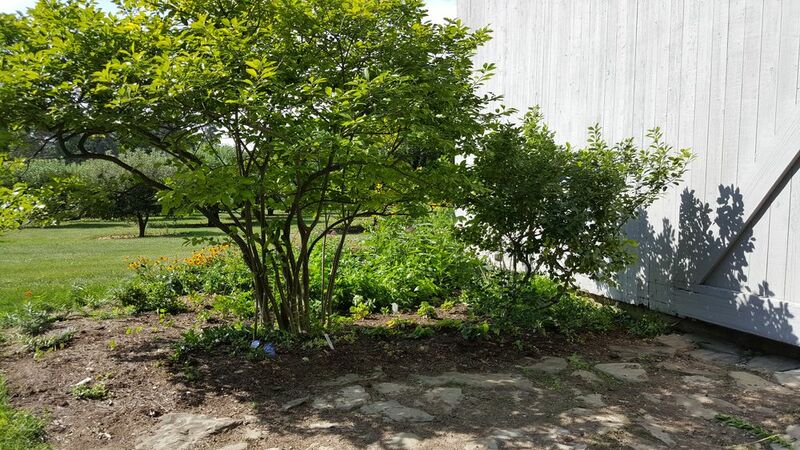 The Landmark Society is fortunate to have a beautiful new garden full of native plants on the Stone-Tolan grounds designed to attract many kinds of pollinators. 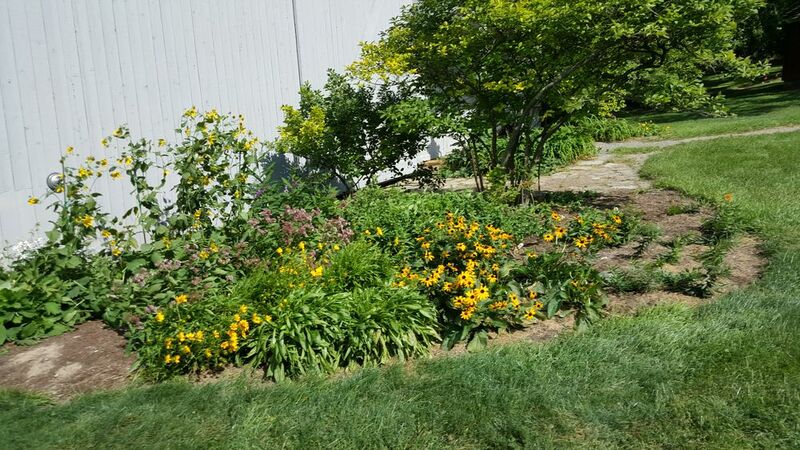 The Allyn’s Creek Garden Club voted this spring to donate the garden in response to an initiative by the National Pollinator Garden Network, a group of established conservation and horticulture organizations, and the Garden Clubs of America. NPGN launched the “Million Pollinator Garden Challenge” to urge gardeners across the country to create spaces that would be havens for insects, birds and other pollinators. 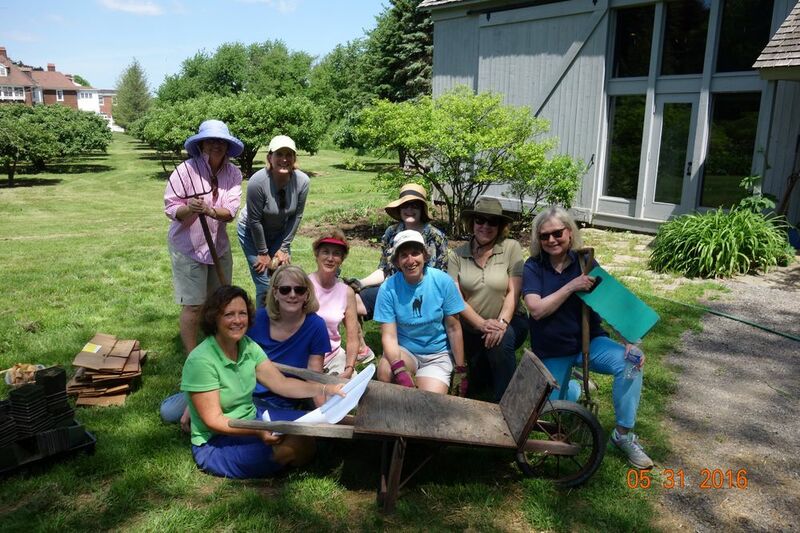 On June 6, 2016 a small group of ACGC members led by Susan Murray brought the plants they had chosen from their own gardens and from Amandas Native Plant Nursery and settled them in their new home in front of the Stone-Tolan barn. They added mulch soon after that and for the rest of the summer they carefully monitored, watered and weeded their fledgling garden. What a blooming success! By late August after some of the earlier-blooming plants had flowered, the garden was full and lush with later-flowering plants visited by hundreds of…pollinators! Next season there will be a succession of blooms beginning with early spring throughout the summer and fall for visitors of all kinds including humans. Thank you Allyn’s Creek Garden Club for your generosity throughout the year and your great new addition to the Stone-Tolan grounds! This entry was posted in Success Story and tagged Stone-Tolan by Caitlin Meives. Bookmark the permalink.